There was a good turnout considering it was a wet and windy October evening. 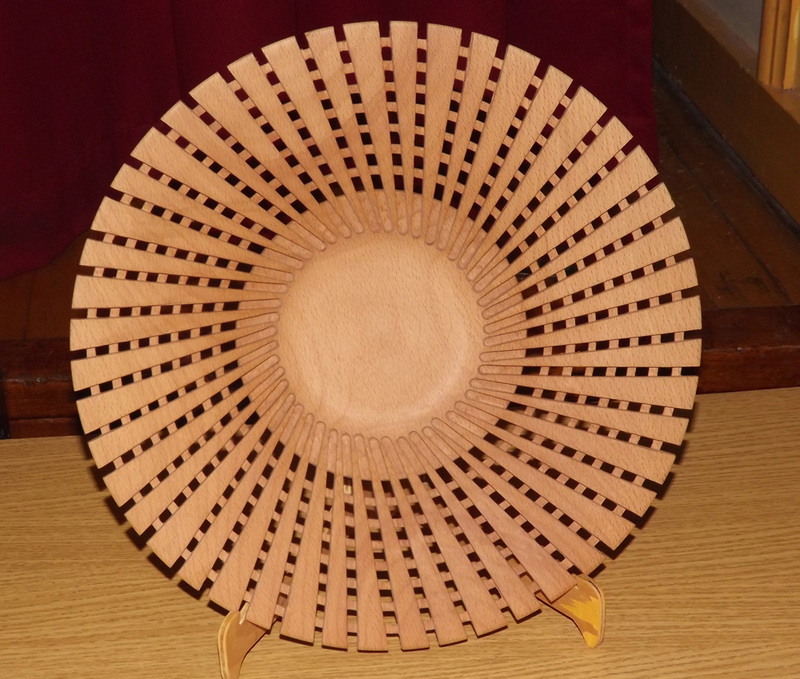 We were treated to an interesting demonstration of Lattice Work Bowls by John Wyatt who is quite new to the demonstrating circuit. John is Chairman of the Forest of Beer Woodturners and regards himself as “just” a Hobby turner, having taken up turning upon his retirement 15 years ago. 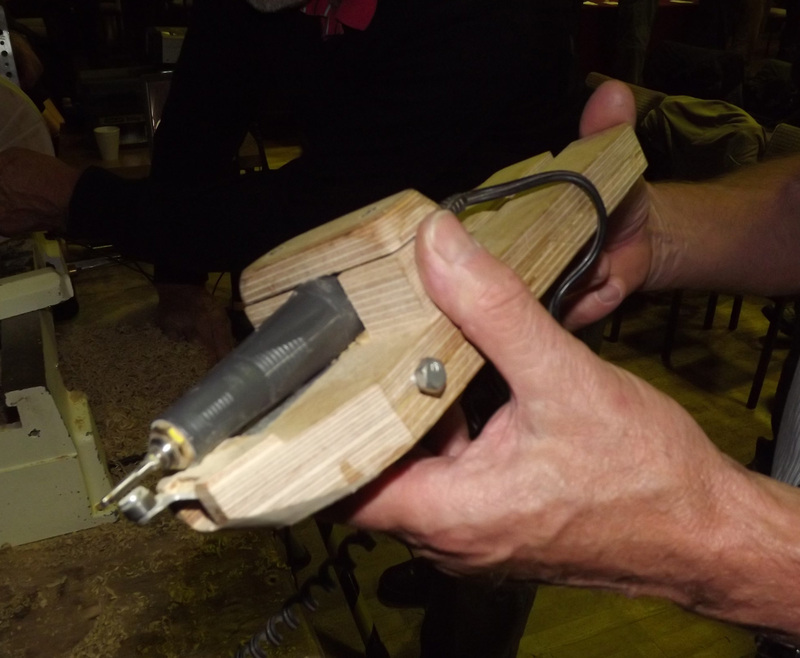 Due to the intricacy and repetitive nature of the work, John brought along a selection of pieces in poplar at different stages, so that he could move the demonstration along at a pace to fit into his time slot. A complete bowl would take too long to complete. Nonetheless, John found time to explain the difference between bowl and spindle gouges to the novices in the group when asked to do so by a member of the audience. Because of the nature of the work John turned the inside of the bowl first, unlike the normal method for a traditional bowl. 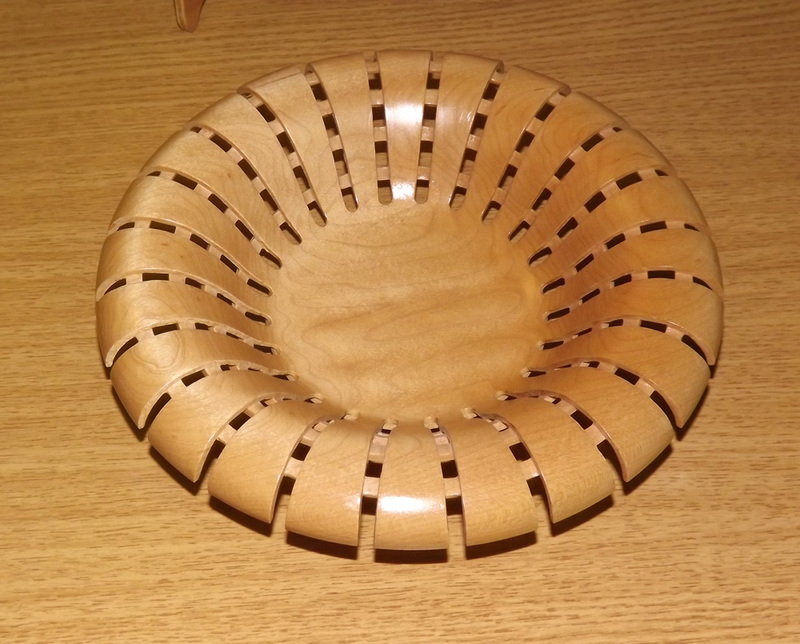 Once the inside was shaped John then used a Dremel fitted to a customised sledge on a plywood shelf, to make a number of indexed cuts from near the centre of the bowl out to the rim. Using this method he was able to make angled cuts rather than straight ones. Following the tea break, John reversed the piece on the lathe via the spigot he had left in the centre and proceeded to turn the outside of the bowl, using a set of LED lights on the inside to guide the depth of his cuts. He made a series of grooves to break through where they crossed the inside ones. He then explained how he tidies up the latticework using a small file, and then how he finishes the bowl with an oil coat. John is not a fan of colouring wood. Following a healthy round of applause John then moved over to the Gallery table to critique the work on display. Amongst the work on display was a number raided from the “Novice Corner” when only three pieces had been entered.